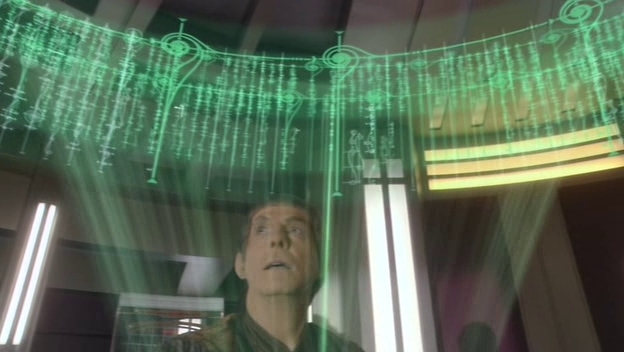 [Image above: Fictionalised version of suppressed truths being revealed in Star Trek Enterprise “The Forge” (3 episodes)]. Source: “The Inner World of Trauma: Archetypal Defences of the Personal Spirit” by Donald Kalsched, p28. But this is what is going on in the world. It’s not a case of “When bad things happen to good people“. THIS is where Christianity seems to fail in many ways in actually explaining WHY and WHAT is going on (offering a lot of hope and support not withstanding) apart from in its earlier Gnostic forms (see Jesus and The Lost Goddess). It’s not just an “endless cosmic fight between good and evil”. These are seriously unhinged Monsters from The ID (vis Forbidden Planet which contains Freudian/Jungian motifs), that have emerged from whatever serious trauma the race was subjected to, in order to “Protect” us and simultaneously Persecute us as well, as this archaic (not Ego) form does. Again this idea that DIABOLICAL evil is “just part of life” or “just they way things are” (as opposed to just bad behaviour and evil acts. Here we are talking about VERY EXTREME acts of a different order entirely) misses the point about what is going on here, as well as downplaying and trivialising the discoveries of Freud and Jung and people like Kalsched who have updated their work into more modern forms. Here truly is a path forwards to REALLY make a more peaceful and happy world. It will be difficult for people to believe it because they have been sold so many false promises over the years. In fact the genius Roddenberry came closest to successfully fictionalising the problem by writing about characters like Surak who manage to tame the violent Vulcan spirit through the use of Logic. Of course Roddenberry massively simplifies the whole thing by making it all about “the Vulcans have to suppress their emotions” but its all an obvious reference to Depth Psychology (intentionally or not). However we do get evolved instances of his story telling in later Star Trek creations like Voyager. In one episode Tuvok reveals to a rather dark trader in dark experiences the contents of “his violent Vulcan subconscious” with obvious references to “the dark side of the self” as Kalsched puts it (also see the Enterprise story arc that portrays the attempted suppression of knowledge by a misguided protector/persecutory Vulcan elite). But this is all in Science Fiction ! What of more direct renditions ? Are there any ? I don’t see this subject on TV. I don’t see this subject at the movies. Again we reach this kind of blockade against these ideas. The imposition of a completely secular world view by the Scientism elite that is disturbingly void of any of the rich history of human consciousness that Kalsched covers. In fact we sometimes hear references to “the human condition” from these Scientism types, but it’s exclusively NEVER defined what that means. Their “condition” does not refer to some “mystery” as people like Kalsched might, there is simply a pure VOID there in their debate and knowledge as if they (Scientism types) have cut themselves off from the main flow of history. So they ABSURDLY explain evil simply as a “chemical imbalance”, so impoverished are they of insight and options. They then have the audacity to start grand schemes as Chisholm did post 1945 “to end all wars” – the project to end all human evil, eh ? Yet NOTHING is mentioned in ANY of those documents of how to actually achieve this apart from “changing people’s behaviour”. There is no reference to the rich history of Depth and/or Jungian Psychology … so guess what ? Of course these guys were going to end up creating another version of what they claimed to be getting rid of – more evil in the world. In this case corrupted Psychiatry. So Kalsched’s discoveries – and all the material Scientism/Psychiatry rejected and tried to suppress – will simply be applied TO CORRUPTED PSYCHIATRY in order to solve the problem. To get the job done. Isn’t this the way it has always worked? This is why we are all still here ! There is a great fight of ideas and the one’s that ACTUALLY WORK end up rising to the top of the pile.